The Isuzu Grafter 3.5t rigid truck has won the 2017 ‘Best Builder’s Truck’ award for a record breaking sixth time in succession. The multi-award winning trophy for Isuzu Truck, presented by leading UK business van magazine ‘Trade Van Driver’, is unprecedented in the history of this publication’s awards programme. 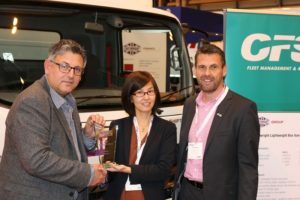 Isuzu Truck UK’s managing director Pete Murphy and Noriko Ishida from Isuzu Motors Ltd received the prestigious award from TVD’s editor Matthew Eisenegger at last month’s CV Show at the NEC in Birmingham. Trade Van Driver, a specialist trade van magazine for small business users, organises this annual awards programme and the entries are judged not only by the expert panel of journalists at the magazine but also by a panel of readers who regularly use light commercial vehicles as part of their businesses. The 2017 Trade Van Driver Awards aim to give recognition to the manufacturers, organisations and people who, in the opinion of the judges, offer the very best to retail buyers. 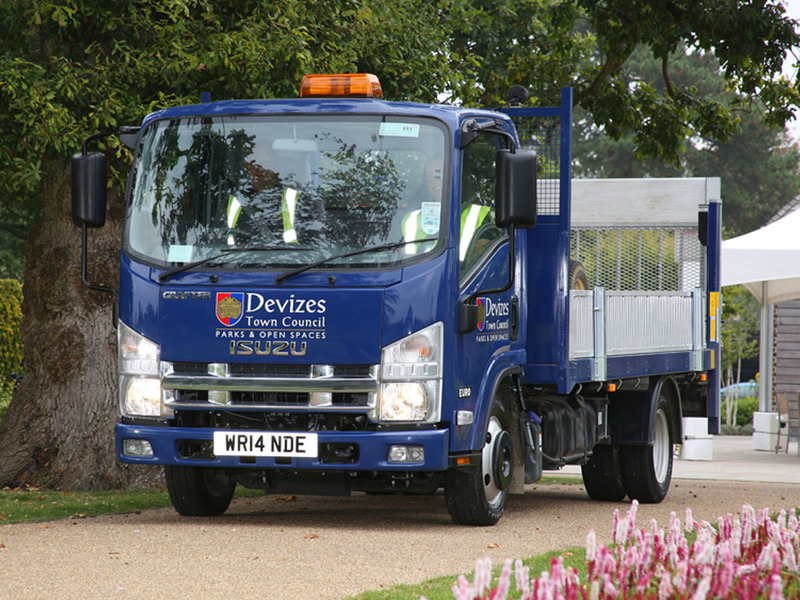 For more information on Isuzu click here.